As we age, don’t our time spans seem to shorten? If you are retired, you may remember thinking how much extra time you would have if you could only retire early. Work days slipped into welcome weekends in which weekly chores, grocery shopping, social events, catch-up events and anything else not work-related took precedence. Before you blinked twice, Monday rolled around again and back on the merry-go-round. Somehow all those things got done until we did retire. Retirement was going to bring meditations, exercise classes, dieting, volunteering, church work, and vacations. Lots of visiting and long week-end vacations, home or away. We could lounge at the pool or the beach and read all the books in the bookcase that never got read. Have tea parties, cook-outs and grandkids visit. Frequently. Well, occasionally. All right – when everyone is available at the same time. Now that retirement came into fruition and the recent announcement that the highest new age demographic is for folks over 100 years old, is it what we dreamed about? Nope. There is so much going on that days slip into weekends and less is getting done than ever. What happened to those old-time summer-time school vacations? Do you remember? By the meteorological calendar, spring starts on March 1. 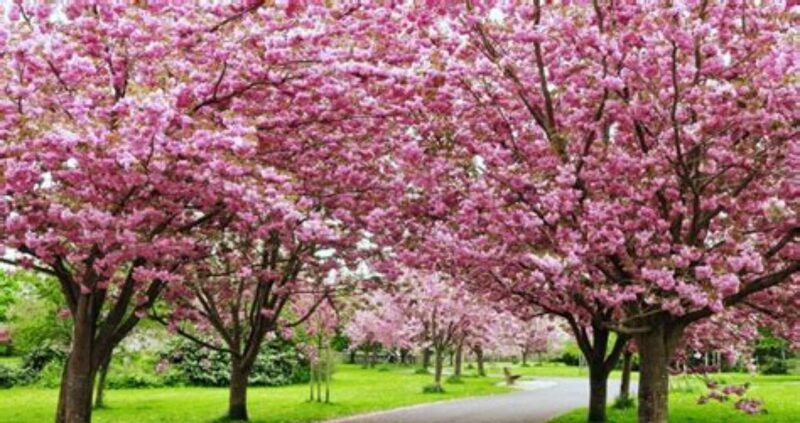 The seasons are defined as Spring (March, April, May), Summer (June, July, August), Autumn (September, October, November) and Winter (December, January, February). Think back to middle school. We started school every fall after Labor Day in September and had a school winter and spring vacation. They were short. Summer vacation (also called summer holiday or summer break) where students and instructors are off school from doing work typically last between 8 and 9 weeks; summer break is approximately 2.5 to 3 months, with students typically getting out of school between late May and mid-June and starting the new school year between mid-August and early September. Do you remember how eagerly we looked forward to summer break? No more teachers, no more books, no more teachers’ dirty looks. Bring it on. I remember the lightheartedness and happiness of not having to get up in the morning, rush and get to school on time and don’t forget all your books & materials. Sounds something like the future ‘working days’. What I remember most about my own personal summer vacations is we didn’t always go on one. We might have gone every few years or at least visit the beach for the day. So what did I do for almost three precious months. I complained incessantly that there was ‘nothing to do’ and repeatedly that I was bored (which brought suggestions to do work around the house.) I couldn’t wait to get back to school to learn new things but especially to see all the kids I knew from kindergarten who changed in looks every year when we all returned back to school. Out of boredom mostly, I pleaded with Mom to buy me a pair of moccasins – I have no idea why I wanted them – I guess they were popular with teens to wear with dungarees. My mother handed me the Sears catalog and I spent quite some time analyzing which ones I wanted to order and then the long wait for them to be ordered and mailed. It took 4 weeks for them to appear. I was happy to get them but immediately became bored with them. 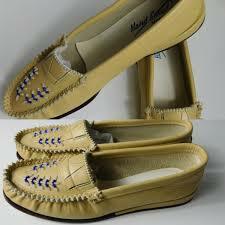 I remember sitting in the backyard wishing that school started next week so I could wear my new moccasins to school. I did little that summer but wish the time away and polish my moccasins. Imagine having almost 3 months to do nothing — but instead get bored. Is that why there is a saying that ‘youth is wasted on the young’.